A new photography exhibition at the Walther Collection Project Space shows how early industrialization ravaged landscapes, exploited labor and helped establish the modern technocracy. Destruction and Transformation focuses on the history of environmental debt, and how the cyclical nature of urban development subverts from its dire side effects. The series spans from the 1870s to 2000, documenting the ways that industry moguls and developers manipulated environments to shape their haphazard visions. The gallery chose multiple locations to frame its thesis, including the Appalachian Coalfields region and New York City. These sites exemplify the forced metamorphosis of nature through fossil fuel extraction and rapid urbanization, respectively. Environmental debt refers to the land degradation and resource depletion that cost future generations exorbitant amounts of money to remedy, and Destruction and Transformation posits that indicators have always been visible. Deforestation and non-sustainable building materials like concrete and steel contribute to excess carbon dioxide emissions, as does the entire coal industry at an even higher rate. 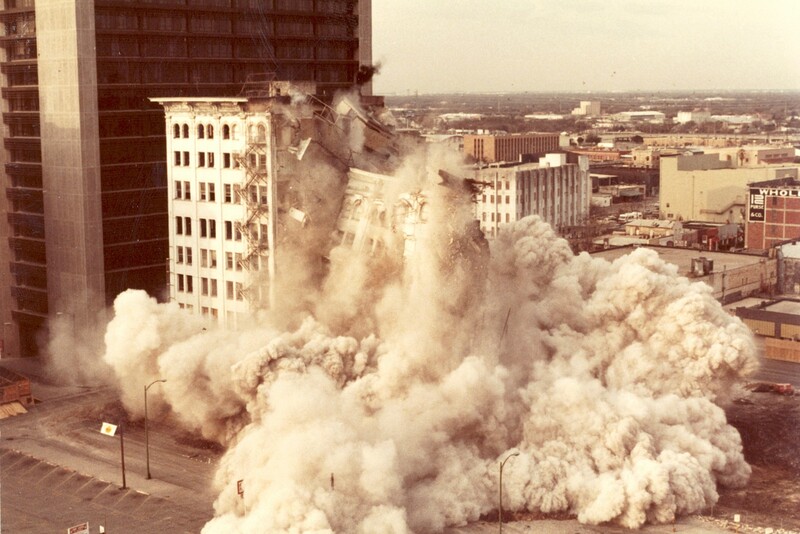 A 1982 implosion in the Stowers Furniture Company building in San Antonio reveals the naïve recklessness of construction companies. The imposed structure takes its second toll on the earth via the waste it creates — asbestos in the air, fragments of metal and broken concrete. Smoke billowing from the immense wreckage partially engulfs nearby street signs and telephone poles, creating a stark contrast with the static surroundings. 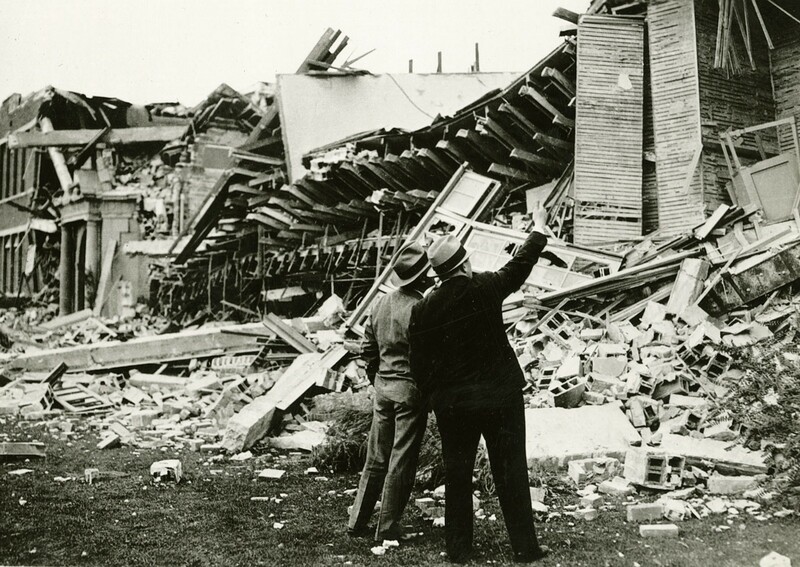 Set in sepia tone, the kinetic scene draws viewers inward as the destruction unfolds. The heavy equipment of early industrialization permanently altered surfaces of land while releasing hazardous exhaust. Rufus Ribble’s panoramas of West Virginia coalfields depict forests shoddily cleared of their trees to make room for workers and temporary housing. Half-built houses, railroad tracks, telephone poles, spare logs and other debris populate the foreground of these protracted shots. The flattened perspective warps their natural appearance into exaggerated and angular shapes, just as machinery levels out the land in each frame. 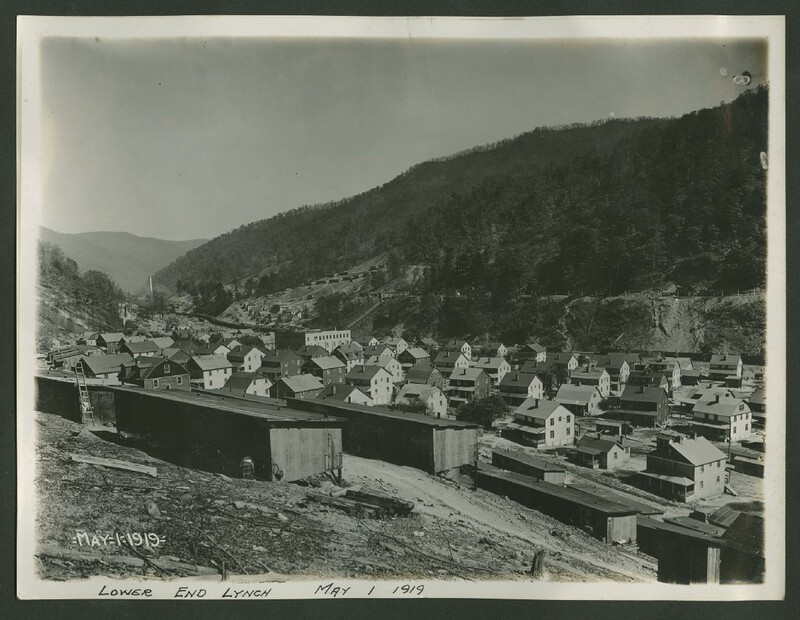 A slideshow photo album titled The Making of Lynch depicts the construction of coal mines in Harlan County, Kentucky — the site of two infamous United Mine Workers strikes in the 1930s and ’70s. Photographs of mine workers help humanize the poor conditions and oppression that eventually led to protests and gun battles with scabs and deputies. 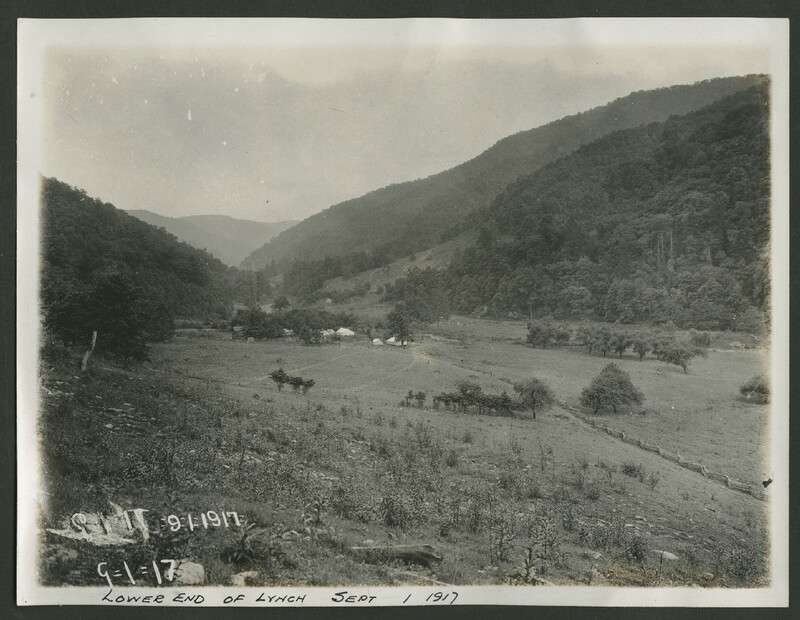 Two other photos in this series show an empty field with trees in 1917 alongside the same plot of land covered with houses and storage buildings in 1919. The transformed territory is hardly recognizable aside from the rolling hills on the horizon, resulting in a staggering juxtaposition. Jagged roofs and mining equipment supplant the pastoral scene of the first photo, stripping away the natural environment for the sake of settlement and industry. Photographs of New York City depict the rigid grids and patterns of urban infrastructure at various stages of development. 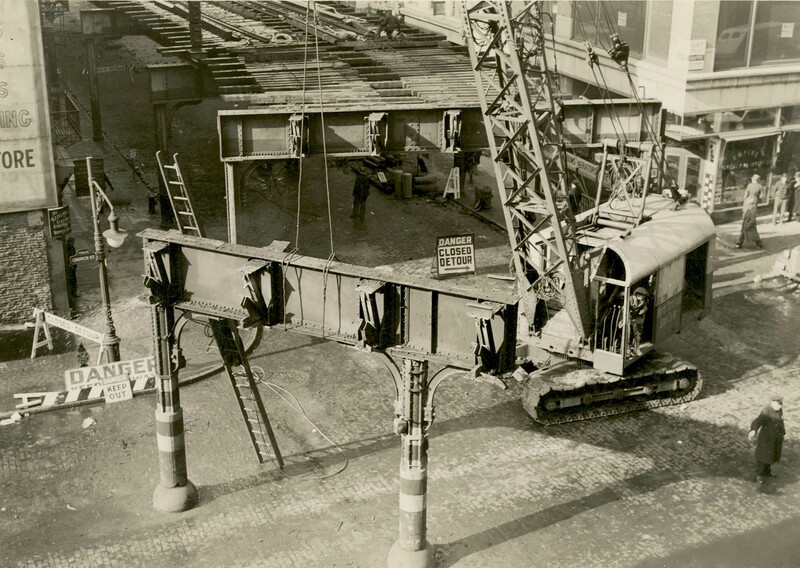 Harvey F. Dutcher’s 1939 series documents the demolition of the IRT Sixth Avenue Line, an elevated railroad that once ran from Lower Manhattan to Central Park. Various pieces of wood and steel appear beside warning signs, temporary work equipment and a crane projecting out of frame. Taken out of context, the scene is a bit surreal. An unused ladder leans against a lone piece of scaffolding in the middle of the street, while a nearby police officer signals to phantom traffic. These are apt metaphors for urban redevelopment, a process that manipulates public services for private interests. A survey of shops along Sixth Avenue, taken by an unidentified photographer, offer glimpses at a bygone urban aesthetic in the same location. An array of long-gone fire escapes, storefront windows, street signs and traffic poles imply the amounts of industrial waste created by their inevitable destruction. 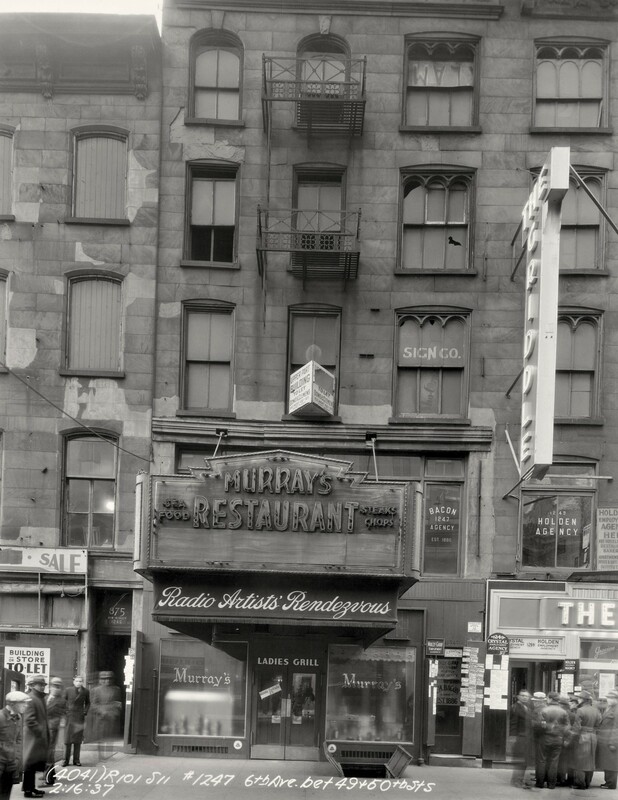 In a photo of Murray’s Restaurant, the “Radio Artists’ Rendezvous” previously located across from Radio City Music Hall, pedestrians gather around nearby businesses. Due to primitive camera technology, they appear faded or in motion against the fixed background. Their ghostly appearance hints at transience, while shuttered windows above them recall the abandonment of buildings slated for demolition. Photographs of other metropolitan areas predate corporate expansion, such as Eadweard Muybridge’s panorama of San Francisco in 1876. A scatterplot of low-rise buildings is devoid of the skyscrapers and towers that define the city’s contemporary skyline. Other panoramas by Ed Ruscha show the Los Angeles Sunset Strip in 1966. Stretched lengthwise, these monochromatic works resemble the erratic, linear spikes of a heart monitor when viewed from afar. But up close, the life pulse of the city materializes via the independent businesses and billboards of Old Hollywood. Considering how the profit-driven tech industry gradually expanded its reach throughout California, these works highlight two target cities long before overdevelopment. Conflicts between companies, workers and the natural environment reveal the competitive tensions of free-market capitalism. The exhibition’s chronology therefore exposes the neoliberal tendencies of wealthy corporations, which privatize industries and consolidate power among an elite class of owners and entrepreneurs. As conservative pundits regularly concoct cases against the Green New Deal, vernacular photography from this period helps contextualize the physical abuse that the private sector has imposed for nearly two centuries. Destruction and Transformation is on view at 526 W 26th St, Suite 718 in New York through May 25.